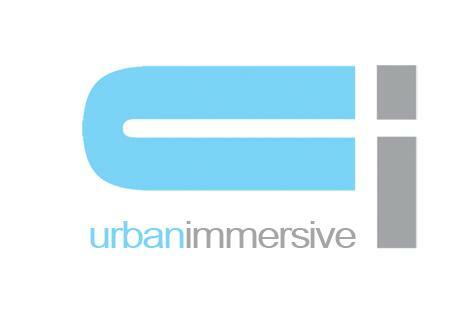 Urbanimmersive Technologies Inc. (TSX VENTURE:UI) ("Urbanimmersive Technologies"), today presented its unaudited consolidated financial results, including those of Urbanimmersive Inc. ("Urbanimmersive" and, collectively with Urbanimmersive Technologies, the "Corporation"), its wholly owned subsidiary, for the third quarter ended June 30, 2015. During the third quarter of fiscal year 2015, the Corporation has continued its reorganization efforts in order to focus on the development and commercialization of its two new web platforms; being the online marketplace linking real estate agents and visual content providers as well as the content marketing production and distribution platform (blog). Although the two new web platforms emphasize the use of its AVU3D immersive technology, their monetization models are not solely focused on selling immersive tours. The monetization of the online marketplace is based on transaction fees charged on each service ordered, while the monetization of the content marketing platform is based on advertising and service revenues. The commercialization of these new platforms is made directly with real estate organizations and business partners as opposed to the sale of immersive tours which required face to face meetings with real estate agents. Consequently, the new web platforms allow the Corporation to operate with less professional resources previously dedicated to the production and promotion of AVU3D immersive tours. This partly explains the reduction in operating expenses over the same quarter of the previous fiscal year. Although revenues for the third quarter remained stable compared to the corresponding quarter of the previous fiscal year, it is already possible to see a change in the distribution of revenue sources. Revenues from the production of immersive tours have decreased 76% which was offset by new revenues coming from the previously announced agreements with the APCHQ and Re/Max Quebec for the blog platform. These new revenues consist mainly of content production services to supply client blogs and advertising revenues. During the third quarter of fiscal year 2015, the Corporation completed a $200,000 financing through a private placement of common shares. Two Directors of the Corporation participated in the placement. This funding has allowed the Corporation to continue its development activities and commercialization of new web platforms. The Corporation announced on August 12 the signing of a Memorandum of Understanding with Centris for the establishment of a 5 year strategic partnership agreement to commercialize Urbanimmersive's real estate visual content provider marketplace. Centris® is the organization that operates the real estate portal, Centris.ca, and that provides technology resources to more than 14,000 real estate agents. Management believes that the commercialization of the marketplace by the largest Quebec real estate organization and its expertise in the industry will accelerate the generation of new revenue streams for Urbanimmersive. However, it is too early to estimate the value of the agreement and there is no guarantee that the income generated by the marketplace will have a significant impact on the business of the Corporation in the short term. The success of the Urbanimmersive marketplace is reliant upon the adoption of the platform by the network of real estate agents and visual content providers. The Corporation also announces the resignation of Mr. Charles Drouin as a member of its Board of Directors. Management would like to thank Mr. Drouin for his contributions to the Board of Directors of Urbanimmersive.